Upon your arrival, your Counsellor is there to meet you and to introduce herself. You are welcomed into a room with comfortable seating, gentle lighting, beautiful artwork and a cozy feel. Other than the desk and diplomas to the side, it’s much like a living room in one’s home. You then sit down to have an initial session. This is an opportunity for your Counsellor to get to know you better and for you to ask any questions you might have. You can take this time to see how you feel with your Counsellor and to get a sense of whether you could work well with them. It is important that you feel safe, supported and that this person has your best interests at heart. It may be helpful for you to know that your Counsellor is there to listen to you with an open mind and to offer you compassion and understanding. Be assured that your Counsellor is not there to judge you or tell you are wrong. Your therapist is empathically there with you in your concerns, to lend a hand and an unbiased ear. Your Counsellor celebrates your successes and is there to support you through your challenges. A fitting Counsellor is there for you, to validate you and what you are going through, in an unconditional and positive way. Your Counsellor is also there with information and knowledge to support you. Seasoned and credentialed Counsellors have years of schooling and experience in the art and science of psychology. If they stay current, they will have post-graduate training in different Counselling modalities and treatments. Often in the first session, your Counsellor will talk about the way they work and recommend therapies that they believe may be useful to you. Please ask questions to see if their knowledgebase is suitable to you and your concerns. In initial sessions the Counsellor will address your rights to confidentiality. It is crucial that your information be safe-guarded so you may feel safe enough to speak about sensitive and private topics. Also, the limits to confidentiality need be explained. What sort of questions may be asked in a first session? Many different questions can be asked with the intention of getting a sense of your presenting concerns and goals. Your Counsellor may ask you questions like: “Why now?, What’s been happening?, How have you been doing lately? What impact is your situation having on you? Perhaps, what your experiences with other Counsellors prior may have been?, What you may have found useful and not so much?, And, What hopes and goals you may have for your present concerns and for Counselling at this time? If applicable, some Counsellors use an Intake form to get the generalities of your situation and history as well. Most first sessions are 50 – 60 mins. However, being flexible in my practice, I offer initial session lengths of 1 to 2 hours. I honour that it has often taken a lot to get to the point of coming in for a Counselling session. So if a client wants a longer time, some Counsellors, such as myself, will grant that request. With a longer session, there is generally more time in which to get into the details of the presenting issues and maybe even some time to delve into solutions and to introduce therapies to deal with the issues at hand. It really depends how fast a pace a client wishes to take it. Some people like to take it slow and some want to get going as soon as they can. I honor client differences and am flexible to meet differing client requests by granting variable session lengths. 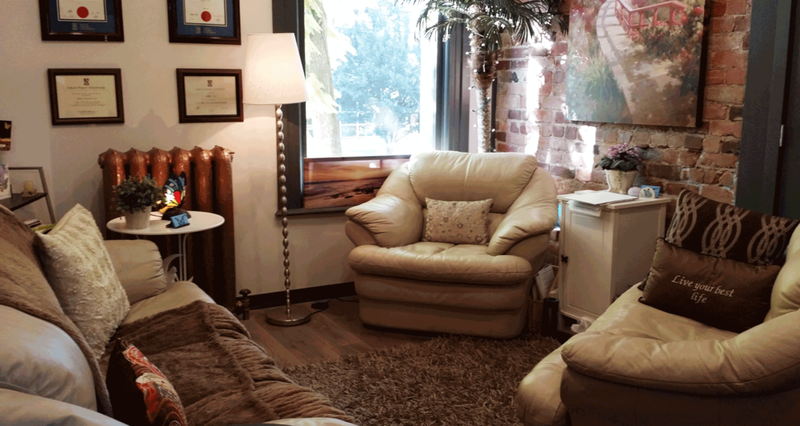 If you have any further questions about what to expect during an initial counselling session, feel free to contact me. I would be happy to address them.